An evening’s birding at my local ‘patch’ produced a scattering of migrants along with a number of the commoner resident species. Doves are around in good numbers at present as the juvenile birds have joined the adults making quite good sized flocks. 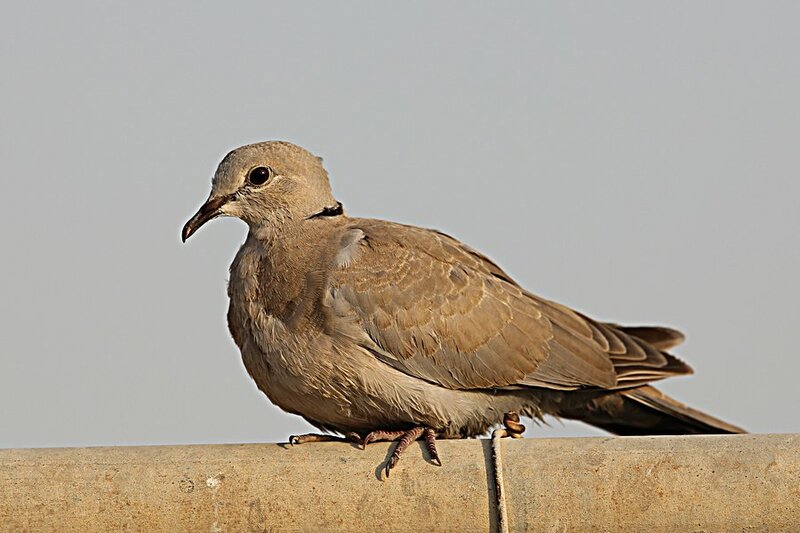 The commonest are the Eurasian Collared Doves followed by Laughing Dove but Namaqua Dove is still around in good numbers. 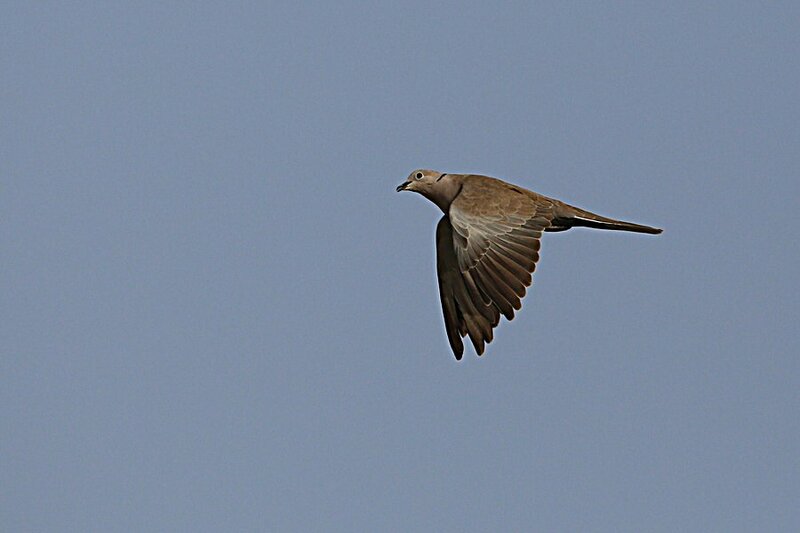 I have not seen a Eurasian Turtle Dove for a week or so but the odd straggler may still be around. Collared Doves are mainly adults in moult, as can be seen from the photograph of the flying bird below where wing mount (primaries) can be seen as well as fresh juvenile birds. The pond still has the Great Crested Grebe present and one Little Grebe is still sitting on eggs, which is very late in the year for this to be happening. 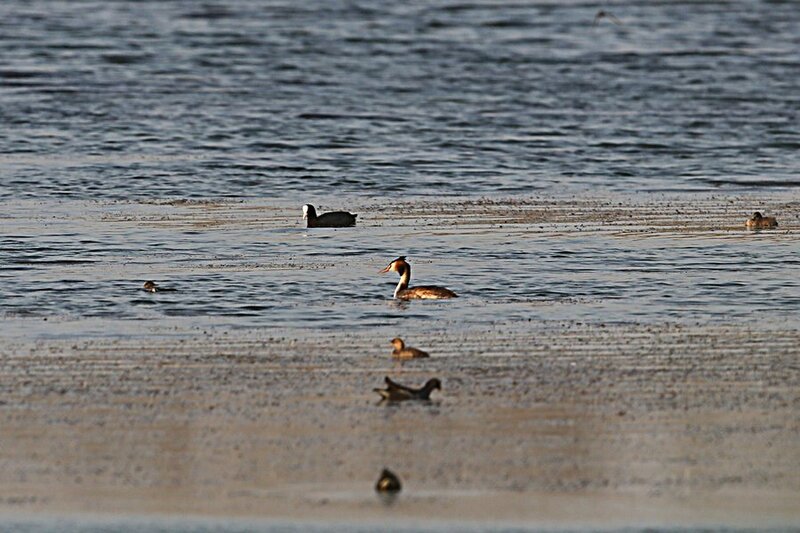 Little grebes had an excellent breeding season this year with over 100 birds, including young, on the pond at present. Common Moorhen and Eurasian Coot also had good breeding years with most of the birds on the pond being of these three species. An adult and a juvenile Purple Heron were in different parts of the reed beds and a single Squacco Heron was present along the reed edge. The only other notable bird was a single Garganey. The spray fields held very few birds excepting three Isabelline Wheatears.